Someone asked me whether I was looking forward to the return of Doctor Who this weekend. At a very simple level, the answer would be ‘Yes’. I want to see what Moffat and Peter Capaldi have in store. I have had this date in mind for some time. When I changed job earlier in the year, I measured time from when I started to when the new Who would be on. I’m not sure why that’s relevant, but it did cross my mind. Now, it has snuck up on me and, yes, I’m looking forward to settling down in front of the TV this Saturday evening and watching Deep Breath. What do I want from this new series? 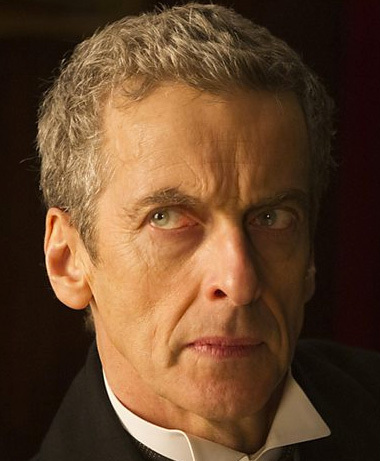 Apart from Capaldi being magnificent…? I want to see the Doctor trying hard to return Gallifrey to where it belongs and involving the Time Lords in the universe once more. Their existence never interfered (much) with his life in the old days, during the Classic Who period – so, why make such a big deal of them that they can’t co-exist with him now. Knowing that these people exist within reach and that the Doctor had cause to run from them seems, to me, to add something to the story – not ruin it. I want to see a fresh dynamic between the Doctor and his companion. We have had friend, lover and mate – one way or another. What can we try next? Stranger, mentor, loner. The manipulative stance of the 7th Doctor toward Ace? The growling indignation of the 6th? Something interesting, and yet not so negative as to drive me away. Something that suggests he cares enough to carry passengers, but you’re not 100% comfortably you’re certain of his motives or best intentions towards them. Like Ace, might the companion represent the pawn in some Long Game. I’m quite happy to see more of the old enemies and The Doctor beginning to make progress in combating them, without annihilating them. Or striking them down with retrograde amnesia. I liked the way the Cybermen had evolved a bit in Nightmare in Silver – they need more of the Borg from Star Trek about them. They’re always seeking to improve themselves, enhancing the artificial and excising the organic. They should never be the same from one story to the next. I also like seeing stories that suggest The Doctor has a lasting impact and that sometimes that impact isn’t a good thing. In some of the recent arc stories we have seen suggestions of this, but I’d like to see more. The sixth Doctor had some adventures like this, where he returned to somewhere earlier regenerations had visited and saw something of what they’d left. At base, more Who normally satisfies me, regardless. This entry was posted in General on August 20, 2014 by Paul B.